You will be introduced to ideas and techniques with which to explore the landscape, and our response to it, with pastels. 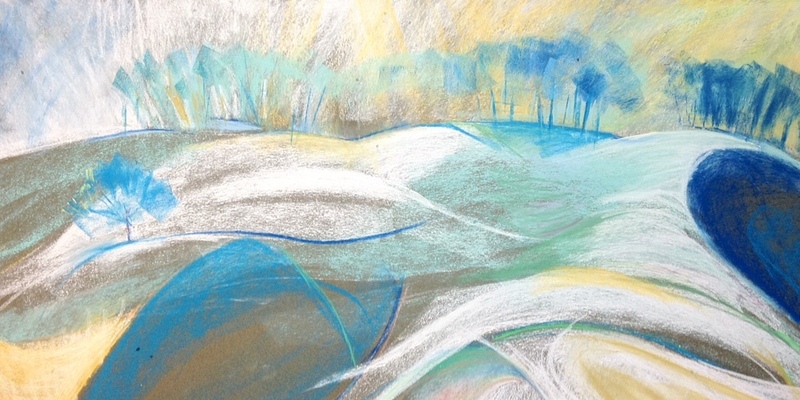 Creative and expressive methods will be demonstrated and taught; pastels are a very accessible medium, ideal for the beginner, but also very rewarding for the more experienced artist. Drawing landscapes is very rewarding but sometimes we feel unsatisfied when we add paint. This workshop will explore different ways of drawing, then applying this skills to developing our drawings into landscape paintings. We will be look at lines of movement within the landscape (yes, they are there! ), tonal values as well as colour. Learn this rather magical technique that results in a woodcut feel, combining boldness with subtlety. It can be combined with watercolour or coloured gouache paint, or left plain for a more graphic effect.